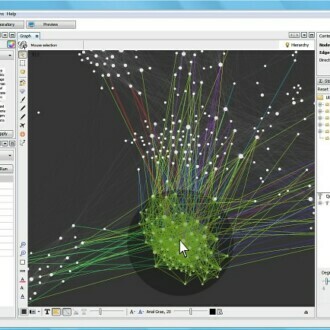 Gephi is a tool providing interactive visualization and an exploration platform for all kinds of networks and complex systems, dynamic and hierarchical graphs. 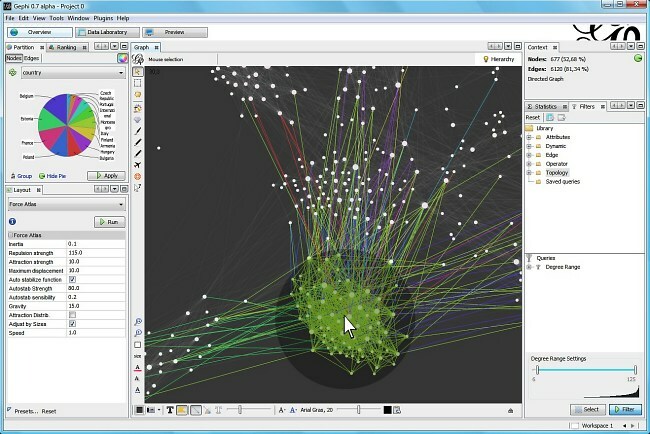 Its aim is to help data analysts to make hypothesis, intuitively discover patterns, isolate structure singularities or faults during data sourcing. because they have special attributes that you won’t easily find in other tools. about visual tools you never knew existed.